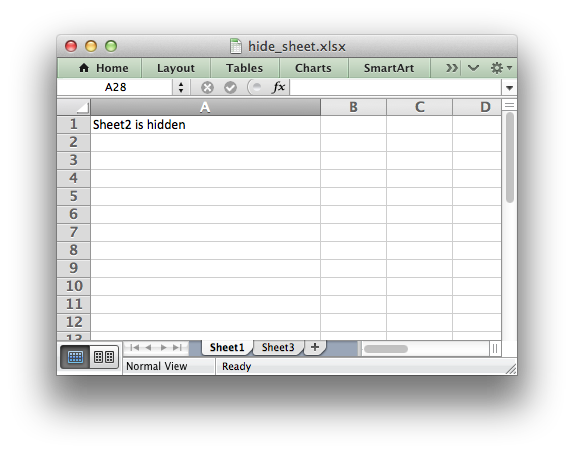 This program is an example of how to hide a worksheet using the hide() method. # Example of how to hide a worksheet with XlsxWriter. # Hide Sheet2. It won't be visible until it is unhidden in Excel.